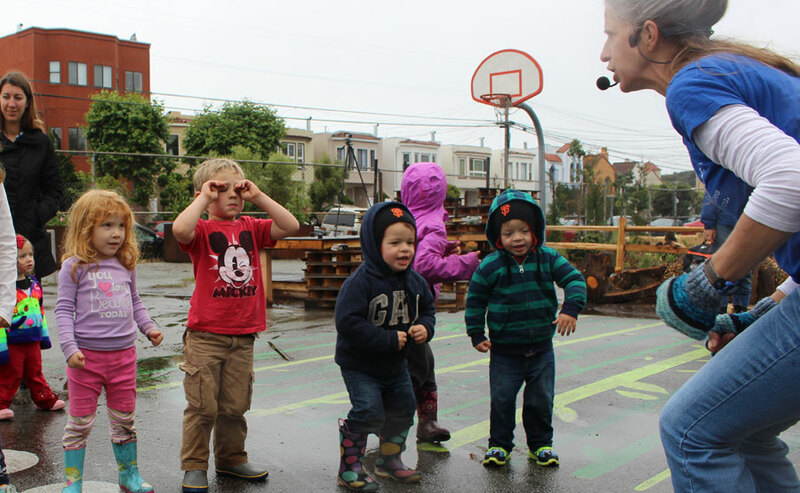 This project at the heart of the Outer Sunset neighborhood seeks to reuse Francis Scott Key Annex, a San Francisco Unified School District (SFUSD) currently underutilized site as a community resource for recreation. The project is a partnership between the Friends of Playland at 43rd Avenue, San Francisco Parks Alliance, SFUSD and Pavement to Parks, a City and County of San Francisco inter-agency program that seeks to test the possibilities of underused areas of land by quickly and inexpensively converting them into new public spaces for communities citywide. Each Pavement to Parks project is intended to be a public laboratory for the City to work with local communities to temporarily test new ideas. Materials and design interventions are meant to be temporary and easily reversible, should the trial run demonstrate the need for design changes.